Generally, earthquakes are not covered under standard home insurance policies. If you live in an area that is susceptible to earthquakes, you may want to look into adding this type of coverage on to your policy. Insurance usually covers mold if it is the result of a sudden leak or construction flaw. If the mold is a result of a long term leak that you didn’t take care of right away, it probably won’t be covered. If you live in an area where you’re at risk of basement floods, it’s probably a good idea to add some type of mold coverage. Clearing out infestations and taking care of the damage is considered part of maintaining a home. If your house is overcome with rodents, termites, ants, etc. you are responsible for both the damage and getting rid of the infestation. 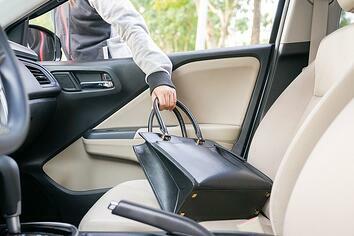 If your vehicle is broken into and items from your car are stolen, insurance will reimburse you for the damage to the vehicle but won’t usually cover the loss of your belongings unless they were also insured. If a member of your household is in an accident while driving your car and they are not on your policy, they will most likely not be covered. Any person living in your home must be on the policy, even if they only use the vehicle occasionally. However, if someone who doesn’t live with you wrecks the car, they will be covered. Your insurance policy may not cover the full cost of damage that could happen when you’re driving a rental car. Before renting a vehicle, you should check with your auto insurance to see what they will or will not cover. You may even have rental car insurance through one of your credit cards as a perk. However, you should always double check so you know exactly for what you may be responsible.